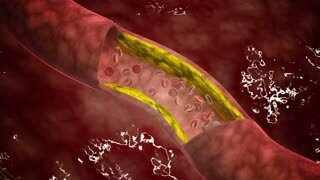 Artery cross-section with blood flow, fat plaque and stent deployment. 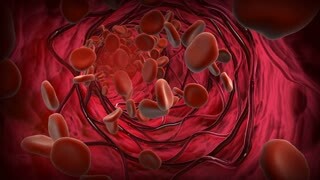 Red blood cells flowing through an artery with stent. 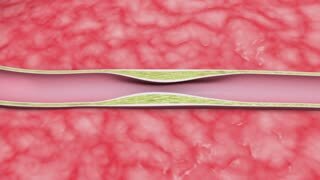 Artery cross-section showing stent deployment. 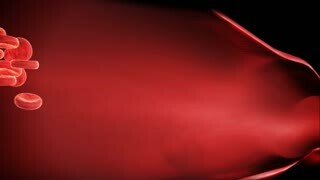 Cutaway view of blood cells flowing through artery.